It is an alternative to conventional drilling methods when the material is too strong and resistant as it is an effective machining method for even hard materials such as polycrystalline diamond stock, magnet materials and carbide. EDM Drilling – VW Broaching Service, Inc.
Also known as electrical discharge machining drilling, EDM drilling is accomplished one of two ways – ram EDM and small hole EDM, both of which use an electrode that shoots out electrical charge or sparks which are hot enough to erode away any metal. Holes can be made on curved and angular surfaces, and they are drilled quickly, with accuracy and completely straight. Any electrically conductive material may be drilled by this method, including aluminum, copper, steel, stainless steel, zinc, tin, titanium, gold, lead, silver, iron and bronze. Applications that make use of EDM drilling capabilities include for the creating of holes in turbine blades, fuel injectors, cutting tool coolant holes, hardened punch ejector holes, plastic mold vent holes and wire EDM starter holes which are necessary to start the process of wire cutting using electrical discharge machining. Precise and small holes are required in many different products and therefore EDM machining is used widely in the manufacturing, medical, automotive and aerospace industries. The EDM drilling process begins with a round, hollow electrode made of brass or a similar metal, which then rotates around a spindle and shoots out electrical sparks that are extremely hot. The metal part or product is clamped down tight so it cannot move, and computer numeric controlled software determines the direction in which the electrode will point. A dielectric fluid bath, usually water based, is used to conduct the electrical current and to reduce the process temperature. It also washes away the eroded material debris and prevents any premature sparking which would result in an imprecise finish. When the electrical sparks, created by a servo-controlled generator, shoot out of the tip, an electric field is created in the gap between the electrode and metal work piece. The surface is slowly eroded by this electrical energy, forming microscopic pockets that eventually form a perfect hole. Hole diameters may be anywhere from 0.03 to 400 mm, and have the option to be extremely deep-up to 100 times the hole diameter. This is a key benefit in EDM drilling, as standard drilling is confined to depths 5 to 6 times the hole’s diameter. 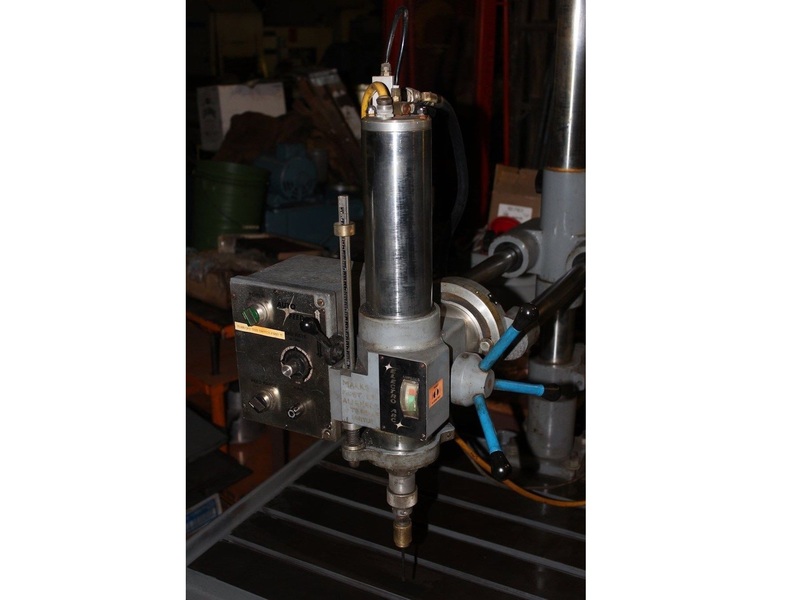 Those that drill long or large holes through hard materials are often equipped with an automatic electrode changer because they tend to wear out quickly. Though it is costly to replace the electrodes used, this process of EDM drilling is still a cost effective solution to many drilling needs. EDM Drilling EDM drilling is a specialized tooling process that creates holes in metal parts and products by using electrical energy in the form of sparks to erode the metal.